Note: This post was written by Craig White, Supportive Schools Coordinator for the Campaign for Southern Equality. The Campaign for Southern Equality is proud to support Loudon Equality as part of our Southern Equality Fund. 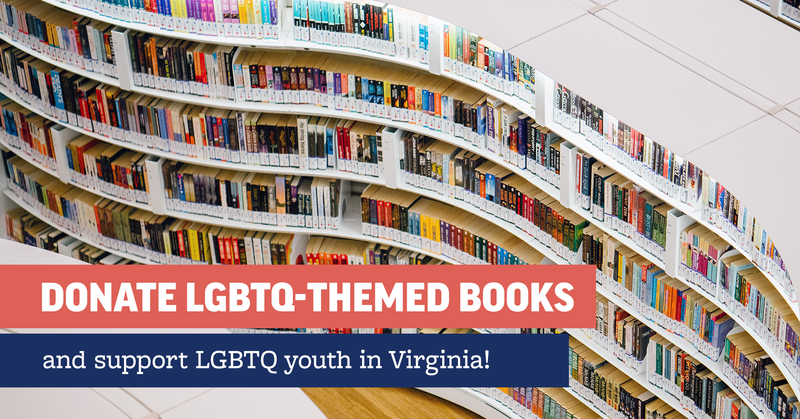 I never know what to get people on their birthdays, but Equality Loudoun is making it easy: For their second birthday, they want LGBTQ inclusive books for Loudoun County Schools. You may recall seeing Loudoun County in the news a few months ago, when the school board in this Virginia county narrowly approved a non-discrimination policy that includes sexual orientation and gender identity. That victory was largely the result of years of organizing by a grassroots volunteer group called Equality Loudoun. On May 4, Equality Loudoun is turning two. They’re asking their friends to purchase LGBTQ inclusive books for Loudoun County Schools, grades K-12. It’s important for students not only to be protected from discrimination, but also to see people like themselves represented in the books they read—and for all the students to learn about many diverse identities through their school libraries. Will you join me in buying a book or two for Loudoun County Schools? They’ve got a wish list online—just click and purchase, select the gift address, and it gets delivered automatically. I love the idea of books arriving from people all over the country, telling these kids that they are welcome, they are normal, they belong. While you’re at it—what’s in your local public library and school media centers? There are some amazing children’s and young adult books being published these days, with a full range of LGBTQIA+ characters. Check them out, and if they’re not there, well, when’s your next birthday?